$189.95 - VSS6-TDW-S5... 6 inch air cooled Vacu Stack with factory installed 1/2 inch spark arrestor mesh. Shipping Included. $239.95 - VSS8-TDW-S5... 8 inch air cooled Vacu Stack with factory installed 1/2 inch spark arrestor mesh. Shipping Included. 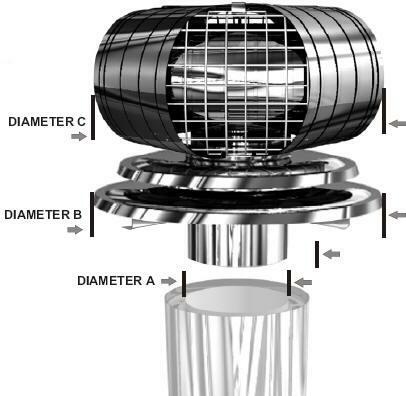 $279.95 - VSS10-TDW-S5... 10 inch air cooled Vacu Stack with factory installed 1/2 inch spark arrestor mesh. Shipping Included. 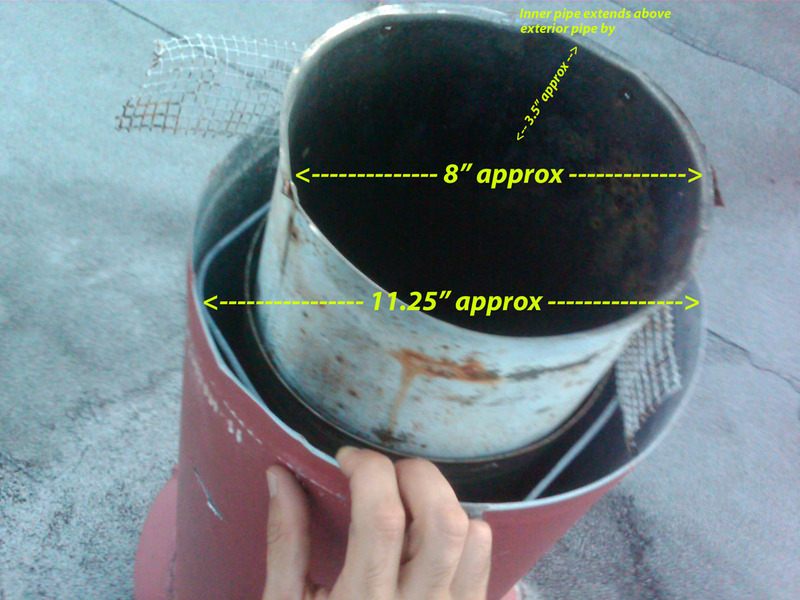 Above are options to fit the 3 most common metal flue pipes. VacuStack for air cooled flue system and factory installed 1/2" spark arrestor mesh. 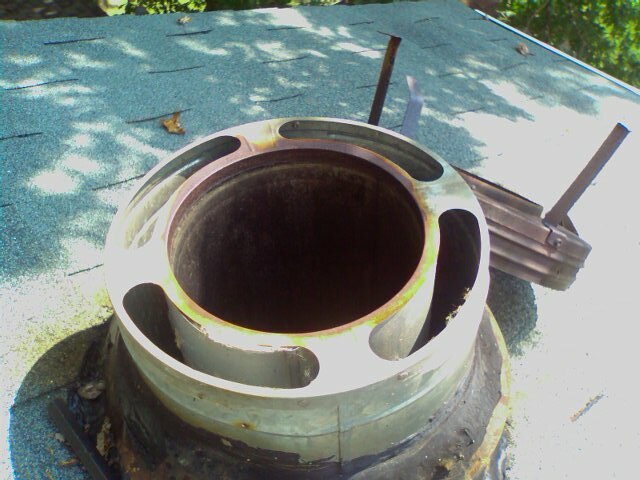 Air cooled double and triple wall flue systems need to be measured by their INSIDE measurement. IE... 8" not 7 3/4" or 10" not 10 1/4"
... the larger outer pipe will vary in size depending on the air space between the pipes and manufacturers design.. The inner and outer pipe need to be the same height for proper installation of a VacuStack. If the inner pipe is higher the outer pipe you will need to cut the pipe to the same height as the outer. Note: look for any "extension" of pipe that can be removed to avoid cutting. 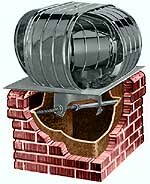 If the inner pipe is lower than the outer... a small section of pipe may need to be installed.